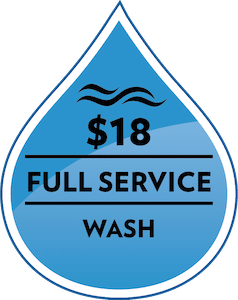 All of our full service washes are 100% touch free! That means no spinning brushes touch your vehicle, only soaps and water. 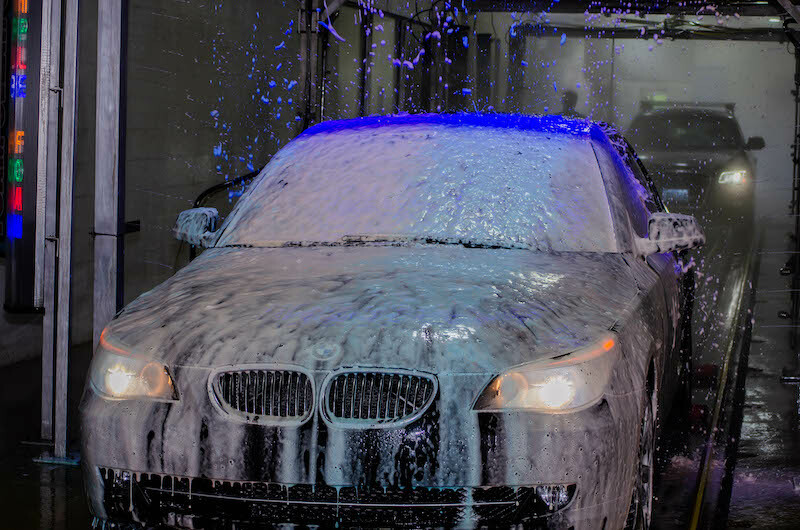 We believe being a touchless carwash allows us to clean your car easier and lets you be worry free about anything happening to your vehicle when it’s at our site. 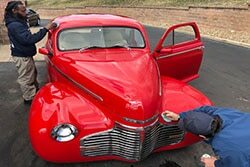 This process is the deepest clean for your paint. The detailing clay glides along the surface of your paint and grabs anything that protrudes from the surface. 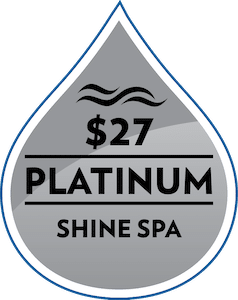 Keeping your paint protected and leaving you with a shine that is unbelievable both on your paint and windows! 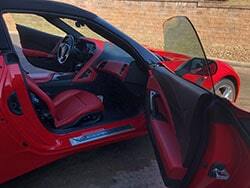 Your car’s interior hard vinyl and/or leather surfaces of doors, side panels, and cupholders are thoroughly cleaned and conditioned. 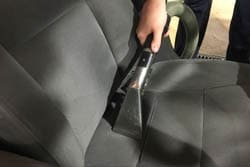 Cloth upholstery seats are spot treated for stains, then steam cleaned to lift most soils and stains. 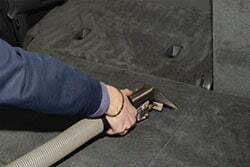 Leather Upholstery seats are thoroughly cleaned and conditioned to prevent cracks and restore leather. 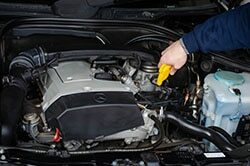 Our 48 Hour Any Reason Guarantee is a way to protect the money you spend to keep your vehicle looking new. 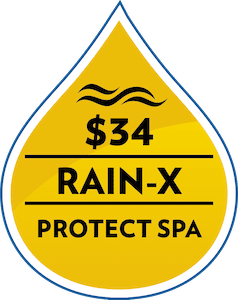 It is valid with any paid wash and allows you to bring your vehicle back within 48 hours of your wash and receive a rewash of your vehicle’s exterior. This covers everything from rain, to dirt you pick up on the road, and even that lucky shot from a bird right when you pull off the lot! Having a hard time finding a place to clean your rv, boat, camper or other oversized vehicle? Look no further! 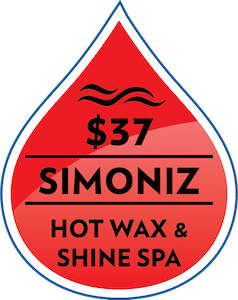 We wash it all! 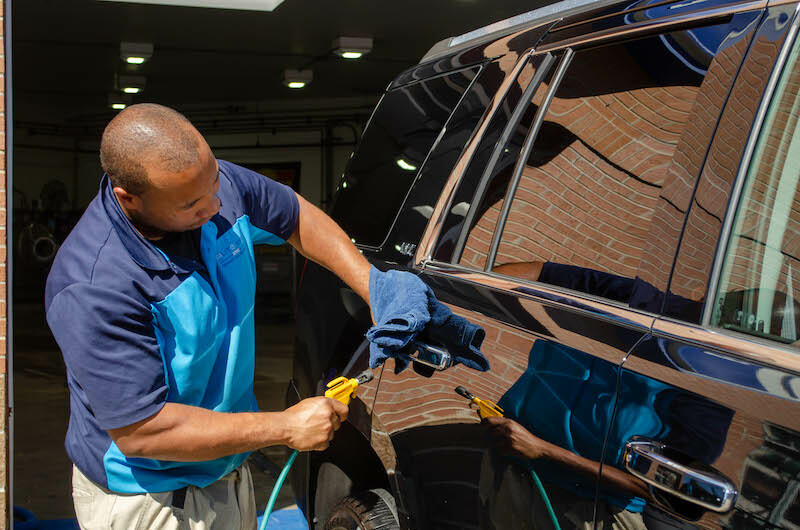 From exterior washes to complete detailing, we can make your bigger than life vehicle feel new again. Prices vary by size of vehicle, call location for quotes.